You'd know I can touch my tongue to my nose. Long tongue, long nose, or super-extraordinary ability? You'd know that ten out of ten times while eating chocolate fondue, I spill chocolate all over myself. That's an A+ for messy eating habits. You'd know that I usually do something once a day to embarrass myself. Like, wave at someone waving at the person behind me. Or trip and fall. Or wear my pants inside out at the gym. You'd know that one day, I want four kids, a couple of billy goats, a miniature horse and three dogs. And that I love to say "YOLO". You'd know that I'm introverted by nature, and quite shy, especially around people I don't know. You'd know that I grew up Methodist, went to Catholic school, converted to Mormonism, yet, I'm still trying to find the best "religious" fit for me. God finds me non-committal, but we're having conversations about it. You'd know that I hate judgements, and strongly believe, "to each his own." Everyone is trying to find their way, who's to say which way is best. You'd know that I wear clip in hair extensions, and wouldn't be caught dead without them. Which forces me to admit, I'm vain. I feel very deeply, and have a passion for life. That laughing is my favorite. And dancing makes me happy, even if it's by myself. I love the rain, solitary walks, a beautiful book, and a great kiss. You'd know, that I'm still learning to really know me too. Have a "If You Really Knew Me..." share your link below! Laughing is my favorite too!! (: Nothing better!! And girl, that shot of you(I assume it's you?) is so gorgeous! You look like Lauren Conrad!! And you also look like Jennifer Aniston! Screw being vain girlfriend, you wear some darn good extensions! I had no idea. Pretty please share your secrets. No amount of egg/coconut oil/scalp stimulating is enough to grow my hair out! i think it's definitely true that we are always continuing to learn about ourselves...and, hopefully, learning to love ourselves more each day! Nice post. And I agree with the comment above, share the hair extension info! I have such fine hair and would love some realistic clip in's to try out. I love getting to know the beautiful girl behind the pictures! I love the vulnerability. And I absolutely love your passion for life! P.S. "If you really knew me"...you'd know that I'm quite shy, introverted...and quirky :)! This post is so nice. I love to find out more about the bloggers that I follow. I, too, want a mini horse one day. And I am Methodist. I would love to hear how you converted to mormonism. Thats quite a switch, no? Love this as well and it's a great idea for a post. Anytime I'm feeling uninspired or uninteresting, you always give me something to think about. Thanks for always being authentically you. Some people you just know are genuine, even if you've never met or spoken. Just saw this on your instagram so I came over to read the post and I LOVED it. Makes me want to do one :). Thank you for your honesty!!! I wish more people were as honest. Thanks for the vulnerable post. Also, wanted to say that that is the most perfect eyeliner I've seen. PERFECT. (I'm guessing you have tutorial for it on here somewhere...I'll take a peak around...if not, please let us know your tips...as well as product preferences). Fun to learn that we have some things in common: loving books, extensions, and God. Also really cool to find out you are LDS :) I think you have the best blog out there! I feel like I am always asking about your hair lol.. what kind of clip ins can I ask. & You are adorable. Thx for being vulnerable! I'm in a similar boat in terms of finding the right religious fit. I wish it were easier to talk about (as they say, religion and politics). It makes the process feel sort of isolating. So I appreciated your honesty. Your blog is such an inspiration! Loved reading this and getting to know you better! I love love love this so mucch. So I creeped around your website and found the hair extension blog entry with the video. Wow! I never knew you had extensions because they looked so natural. I'm going to have to get some myself — my hair texture looks a lot like your hair in the beginning of the video. Also, about the religion thing. If you ever need someone to talk to about it, I know I'm just a stranger on the internet, but I'm totally happy to talk with you! I went from being 100 percent not religious to Lutheran, and so I know how hard it is to find the best religious fit. I still struggle with some things to this day. So anyway. There's that. Thanks for letting us get a peek into your personality! LOVE your post and love your honesty! I am obsessed with your blog! Love it! I was inspired to write a list of my own -- thanks for the feel-good vibes today! Happy Weekend! what a creative post! I loved this!! I'm LDS (Mormon) and I'm so grateful for the values and teachings that I grew up with! it helps make sense of this crazy thing we call Life :) also you are so gorgeous! But now I am curious, do you have short hair and we just dont know!? I know many others have commented similarly but that pic of you looks beautiful! Loved this post. My "if you really knew me" would include a fear of death and dying, not ever really finding a religion that "fits" me; I'm catholic...technically. I would trade my life for both of my kids if it meant keeping them safe and healthy! I would live a nose job and also to laser my 2 ratios off that I strongly have grown to dislike (mistake when I was young)-these are my 2 "vain" "if you knew mes" and PS: have you tried the ice in the j crew shoes?! I was the one who had mentioned a possibly try with the ice. Thanks for this great post!!! I was baptized Catholic, went to Methodist preschool/church till 7, switched to Catholic school till I graduated from highschool...and now I find myself back in Methodist church. Go wherever your heart leads you - religious "labels' make things too complicated. I'm a mega dork and also super awkward, but I just kind of roll with it at this point in my life. I also gesticulate like CRAYCRAY with my hands when I talk (which is a lot...), but again, just part of who I am. I'm loving being 28/late 20's because I feel like I've found myself...and I like myself...and I don't want to change anything. It's nice to feel that sense of peace. Surround yourself with people (and kittens and goats) who love you for YOU. Love it all! Beatiful post. YOU have inspired me. Thanks! This is such a great post! I love to laugh too and mini horses are too cute! I love this post! It's so great to get to know bloggers a little more personally :) Thanks for sharing! What a beautiful post! I've been following your blog for awhile & find you to be a beautiful person, inside & out. As far as the religion thing goes, just follow your heart. I'm a Mormon, but more importantly I hope I am Christlike and kind to others in my life. :) I have to find the post now about hair extensions...I REALLY need them! I'm vain too! There I said it. I love the post and the photo. I recognize myself in so many things you said but mostly when you say you still learn to know who you are. Otherwise, you made me laugh when you said you waved at people not waving at you, I definitely do that too!! Great post. And the photo is beautiful. love this post and your vulnerability. takes a lot of guts to bare it all :) i did a post like this and the link is below. also. hair extensions?? they look fabulous! where did you get them? link to my "if you really knew me"
Such a good idea! i loved reading all of them! short and sweet, but you could feel the background as well! I also want goats, horses, pigs, dogs, maybe a unicorn if I can ever find a good breeder :) while living in the suburbs! This is such an inspiring, real post. I've done one of my own as well. I too have worn my pants inside out to the gym, and I always say hi to people who I think I know and actually don't haha. Love this!! Love your blog, your style is incredible. I just posted my "if you really knew me" blog tonight. I feel like if I knew you, we'd be great friends! I wrote one, too! Inspirational, Katie. & it's true, bloggers need to write MORE. Your readers WANT to learn about the girl behind the clothes, or at least I think they do! i need to do one of these posts too!! i am totally an introvert by nature too! Thanks for sharing. I love the honesty. Sometimes just thinking about who we are, helps discover more about ourselves. Great post, Katie. Very refreshing to read. I too am Mormon. Grew up Mormon and it is a good fit for me. But I am so glad that you are at least searching. You are a beautiful lady inside and out! I have two little boys who are my whole world. Family really is the most important thing! You will be a great mom someday! This is a great post! It's fun to get to know the authors of blogs we read. I'm with the other readers, I'd love to know your secrets on hair extensions... I've been having a terrible time finding the right ones. This is such a sweet and honest post! love it. How do you keep your extensions in your hair everyday, without them pulling your hair out or thinning your hair? Obviously you don't sleep in them, but do they pull your hair or tug it out? cat's out of the bag now. Looks like you're going to have to do a post about hair extensions! We all want to know the secret. this is such a wonderful post! Loved reading it and finding out those little things about you that I otherwise wouldn't have known! As if you had written down my own feelings, thoughts, dreams and things I like to do. Thanks for sharing! Wow, so glad I read this! We are very similar almost everything you said I agreed with except maybe the Billie goats lol! They are cute but I don't know if I need to have them :) Beautifully written. You'd know that I am very sensitive and loving, I need a honest hug but at the same time I'm pretty independent and I like having my own space. You'd know that I'm shy and reserved, I am discreet and I do not like to draw attention, you'd know that sometimes I am also somewhat crazy and impulsive. You'd know that I am a variable person. Also you would know that I do not like coke or beer, I like lemon poles and orange soda but I do not like orange poles or lemon soda. You'd know that I have passion for my nephew, I like kids but I'm not sure I want to have my own. You'd know that I hate disturbing and asking for favours, you'd know that I like to get things for myself, I'm stubborn and I usually do not listen advices. P.S. Sorry for my English! Sabrías que soy muy sensible y cariñosa, necesito un abrazo sincero pero, al mismo tiempo, soy bastante independiente y me gusta tener mi propio espacio. Sabrías que soy tímida y reservada, discreta y no me gusta llamar la atención, sabrías que, a veces, también soy un poco loca e impulsiva. Sabrías que soy cambiante. También sabrías que no me gusta la cerveza ni la coca-cola, me gustan los polos de limón y los refrescos de naranja, pero no me gustan los polos de naranja ni los refrescos de limón. Sabrías que tengo pasión por mi sobrino, me gustan los niños, pero no estoy segura de que quiera tener el mio propio. Sabrías que odio molestar y pedir favores, que me gusta hacer las cosas por mí misma, que soy terca y no suelo escuchar consejos. 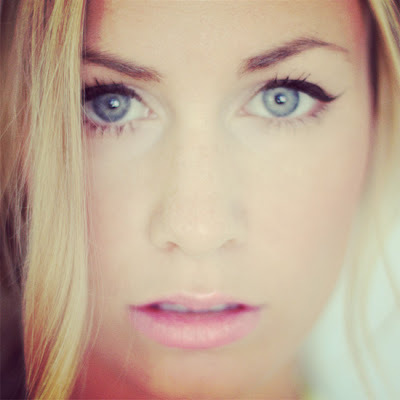 Ommm LOVE your blog and you are really pretty! I love that last line. I think everyone really wants to know who they are and we are on a journey, searching. Loved getting to know more about you! You are a beautiful person. very pretty blog-i had no idea you were a convert to the LDS religion. So am I, what a wonderful thing it has been to my life. I am sure you will find your balance soon of what fits you. your a very pretty lady with a cute little blog! It was really great that you admitted to being introverted and shy...I am too and I get tired of the stigma that gets attached to it! Thanks for opening up! what brand/length of extensions do you use? I did an "If you really knew me" post back in July. Loved yours! I love this post! That is a stunning pic of you too. YOu are so so beautiful, girl! And, you should go for that photography career because you take amazing pics.